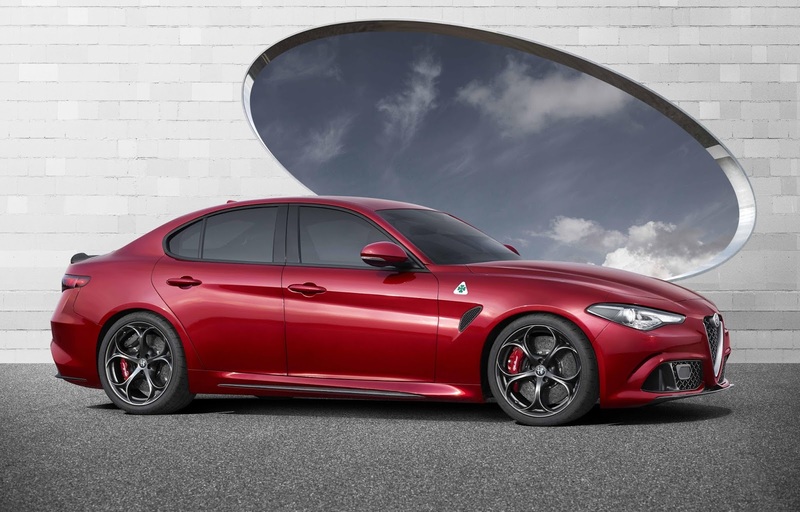 Wow, what a week it has been for interesting new European cars. 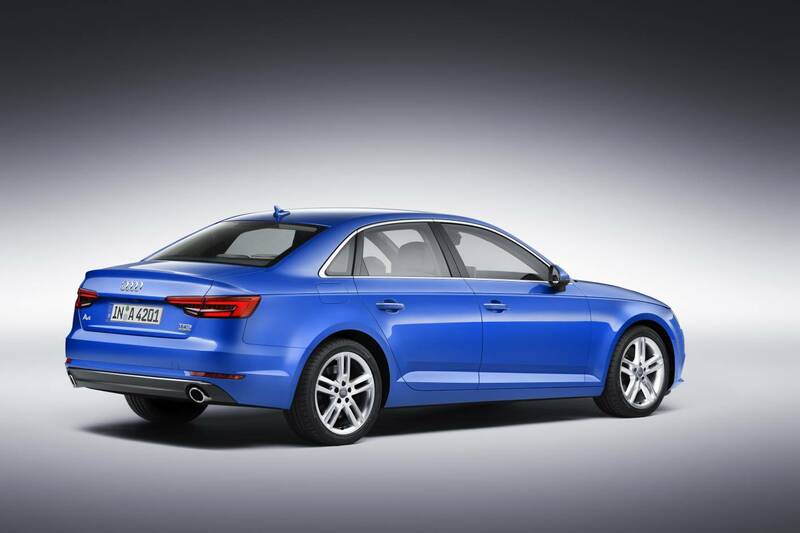 I give you a Peugeot with its mojo back, a gorgeous Alfa and the long awaited new Audi A4. Yes usually my blog is the hiding spot for all that is old and slightly crusty in the used car world Down Under but sometimes new cars appear that I have to share and today is going to be one of those days. The first car which surfaced last week was Peugeots 308 GTi, could this finally be a return to form for Peugeots wearing GTi badges? 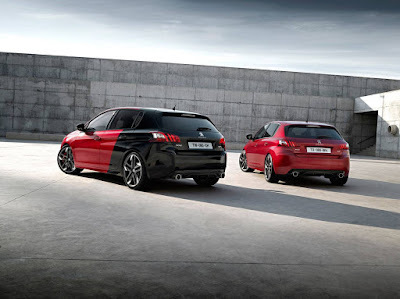 Can the 308 take the fight to the all conquering Golf GTi? Peugeot certainly have VW in their sights judging by the understated appearance of the new 308 range topper. No spoilers or lairy body kits here. Just a big set of brakes, some twin pipes and a gentle reworking of the bumpers set this car apart from lesser 308's. Performance of course will also set this car apart, and it comes courtesy of the RCZ R's 1.6 litre turbocharged four. Two power outputs will be available either 184kw or full fat 200kw, the more powerful car able to reach 100km/h 0.2 of a second quicker and provide a little more mid range shove. 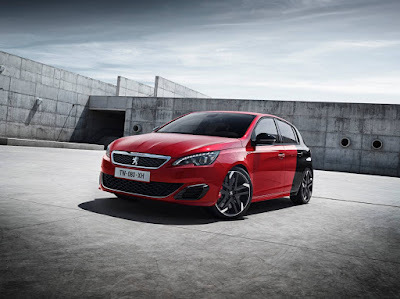 Peugeot Australia are currently in negotiations to secure the model for release here, but given Aussies appetite for that pesky Golf I think Peugeot would be silly not to offer it down these parts. 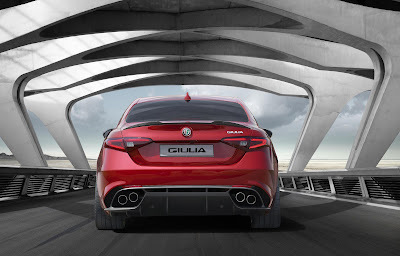 Next new car to catch my eye, and I mean literally catch it and not let go is the stunning Alfa Guilia sedan. A brand new rear wheel drive Alfa set to take the fight to the German elite. I'll go into more detail about the car later though, for now, just look at it. 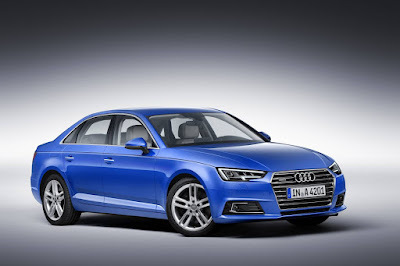 Lastly, with the images only released today we have the exact car that that Alfa is going up against, the mid size sedan heavy hitter, the new Audi A4. With a focus on reduced weight more tech and better driving dynamics Audi's new A4 looks crisp and clean, just as we have come to expect from Ingolstat of late. As a big A4 fan I'm eager to see how this car drives, my only concern is does it look different enough to it's smaller A3 stablemate? These three new cars mean that if you weren't already enjoying 2015's stellar crop of new vehicles, then its about time you did. 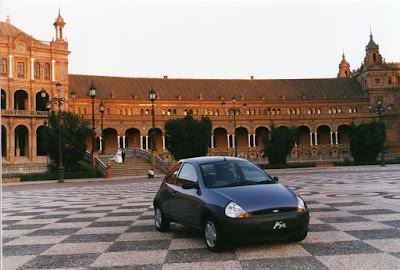 Designed by a Frenchman and built in Spain for the very European problem of cities better suited to horses than they were cars, I give you the Ford Ka, a piece of controversial design that went on to be one of Europe's best selling cars. 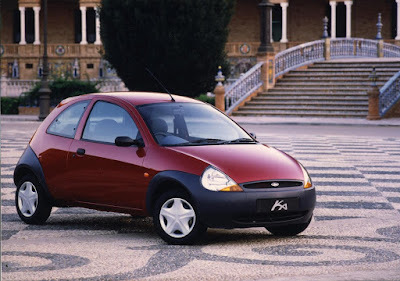 Built by a American company it might be, but the Ka represents all that is good with European car design and you can get one for under $4000. 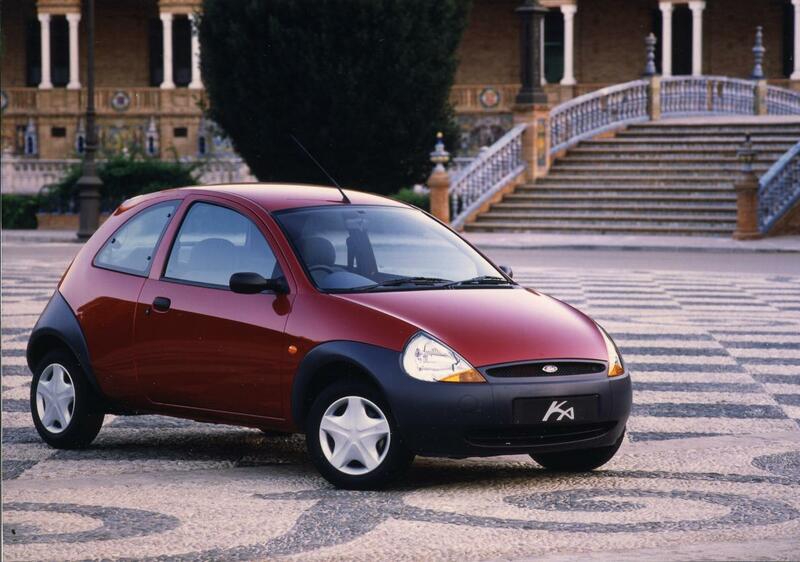 With its cutesy design, clever packaging and simple mechanics the Ka became a very common sight on UK roads. However this particular petrol head thought that coming to Australia would signal the end of seeing Ka's on the street. But then I spotted one and after some research learning that the first Ka was sold Down Under I just had to share this little gem with you all. 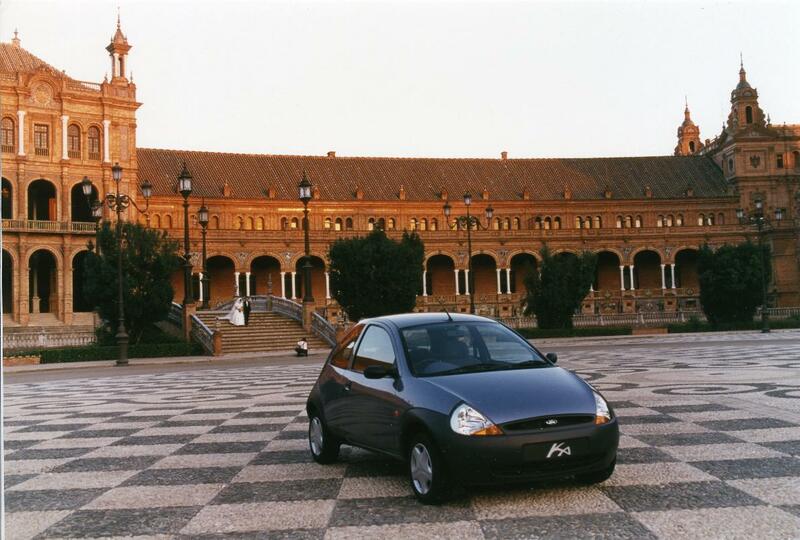 Between 1999 and 2002 Ford Australia marketed the Ka, but dismal sales from a not so convinced Aussie public forced the little Ford out. Thankfully though just enough people bought one, meaning you can now get your hands on a somewhat rare and totally unique Euro city car. As I mentioned the Ka was designed by a Frenchman, Claude Lobo the man responsible for the Ford Capri no less, so the car has pedigree. 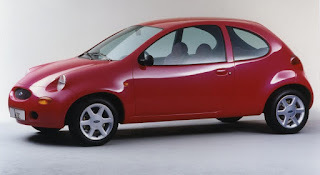 And like that other 90's design icon the Mk1 Audi TT the Ka was also one of those cars that went from motor show concept to production car almost unchanged. It lost none of its funky touches, that bubble silhouette framed by those big wrap around bumpers for example made it from concept to reality. Those little wheels pushed to the extreme four corners of the car stayed put too. Creating zero overhangs and importantly spot on vehicle dynamics. Right enough of me blabbering, besides a car that looks like it rolled straight of a motor show stand, what else does a Ka have to offer? Well not very much, and that's the beauty of it. 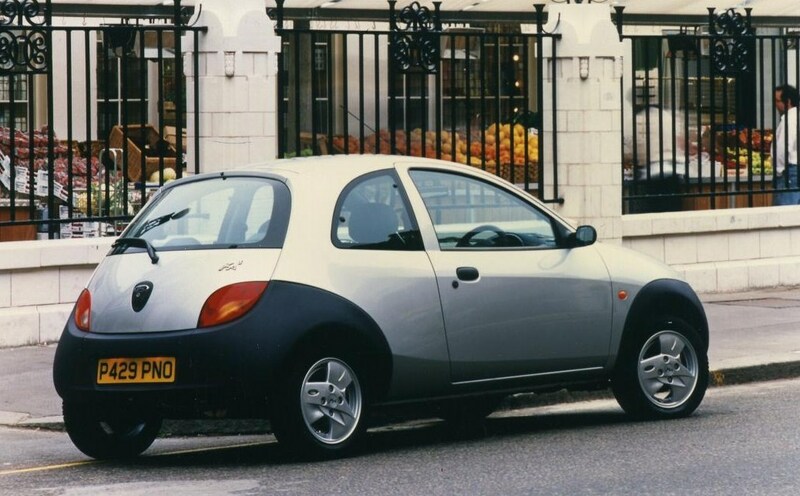 The Ka is a back to basics sort of car, with a chassis highly regarded by the motoring press and little in the way of driving aids other than a steering wheel the Ka is one of the funnest cars to nip around town in or equally hoon down a winding road in. 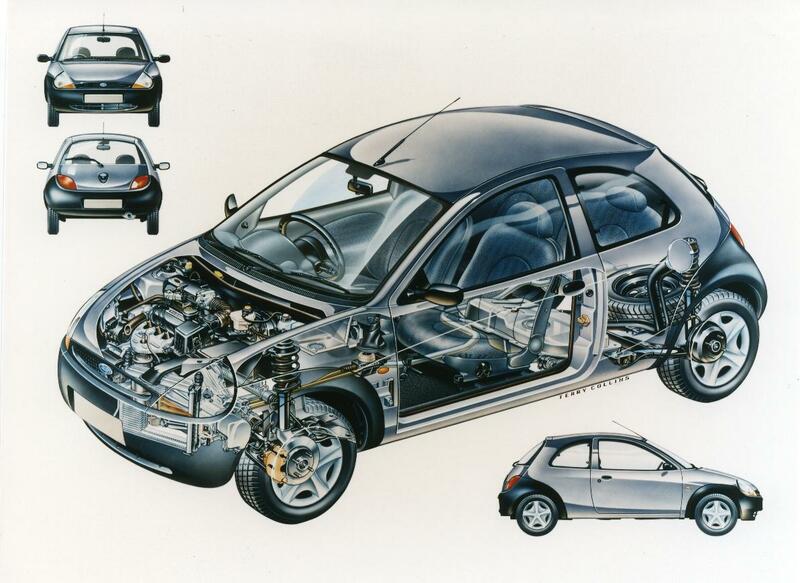 With the only transmission being a 5 speed manual the Ka basically begs for its 43kw 1.3 litre lump to be wrung. And trust me, as owner of many power challenged cars, hustling an under powered car along provides a feast for the senses and is not only fun but takes great skill. Ultimately the Ka provides a rewarding driving experience for very little outlay and when you zip past, people might actually pay you some attention. As with a face like that it certainly won't be confused with a bland as tofu Asian box. Well the interior keeps with the back to basics theme too, bare metal and keep fit windows are the order of the day in the Ka with a CD player and A/C probably being the only luxuries you can expect. 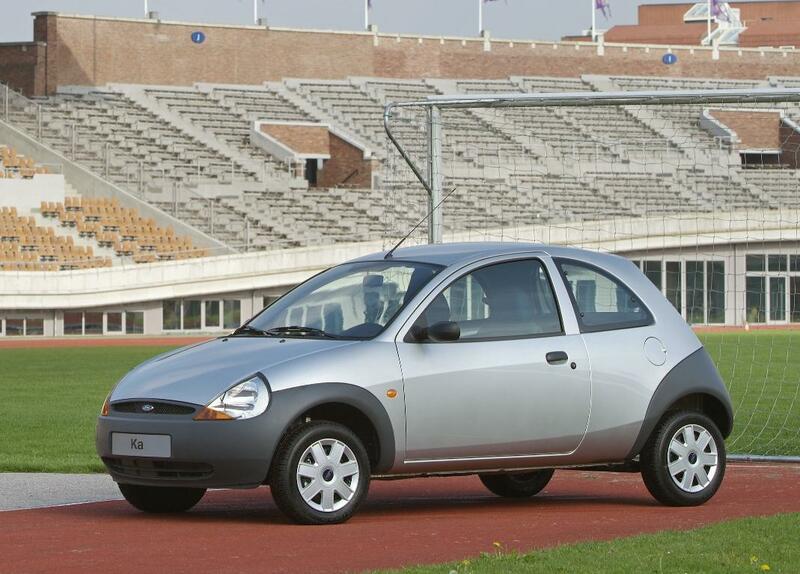 This merely adds to the Ka's appeal though, with nothing to distract ones attention you can just get on with driving the thing and enjoying every minute. Before I share with you one of the few I've found for sale though I must mention the Ka's Achilles heel, rust. Seriously the Ka might just have well been made out of the same stuff teabags are, water gets into them everywhere. Body work, sub frames and countless other chassis components are known to simply dissolve after a few years of use in Europe. Thankfully with warmer weather Ka's Down Under might have had a better survival rate but be cautious and check thoroughly for the dreaded tin worm. This weeks car appears to be very well looked after, the advert although generic hints at a car that has never wanted for anything and been well maintained, most probably by the sellers father! I get the impression this little Ka is now just taking up room and the low price is intended to make it shift. If your in SA, go grab a bargain. Remember when BMW design went a bit mad with something called flame surfacing ? 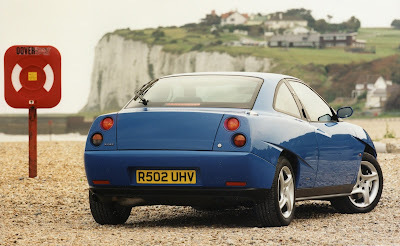 Well one car and it's designer can be credited with causing the biggest shake up car design has seen in the last 20 years and it's a little Italian coupe, the super rare down under Fiat Coupe. Designed by Chris Bangle long before he got mitts on BMW's model range the Fiat's angles, slashes and radical approach to wheel arches helped Fiat shift over 72,000 Coupes. However if what I have read is to be believed only 23 of Fiats 90's icon have made it down under and I think you should go and find one. 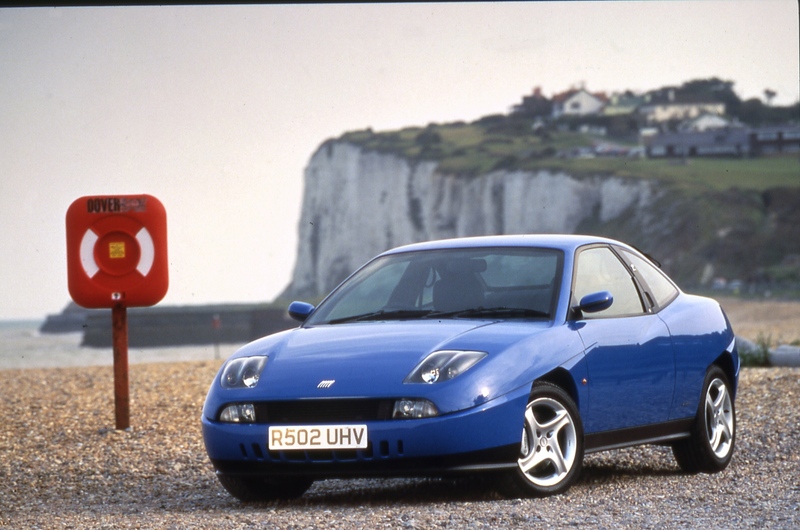 Rarity is obviously one reason why you might want one as is the iconic exterior design, but the interior of the Coupe is also worth a mention. 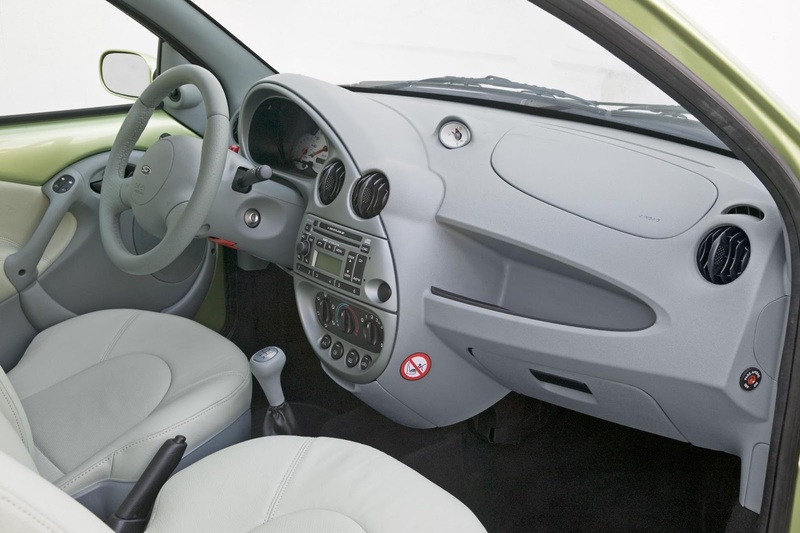 Designed by legendary design house Pininfarina the Coupe was certainly no rehashed Punto on the inside, with body coloured wrap around trim, clear dials and simple controls the Fiats inside looks as fresh today as it did way back in 1993. 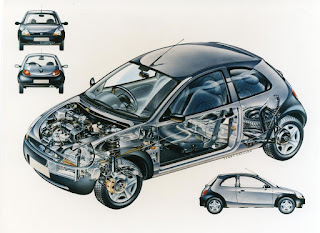 And then there is the engine that Fiat chose to put under the bonnet, a thrumming 5 cylinder 20v turbo.Yes other engines were available during the cars 7 year production run but the one you really want is that 20v. 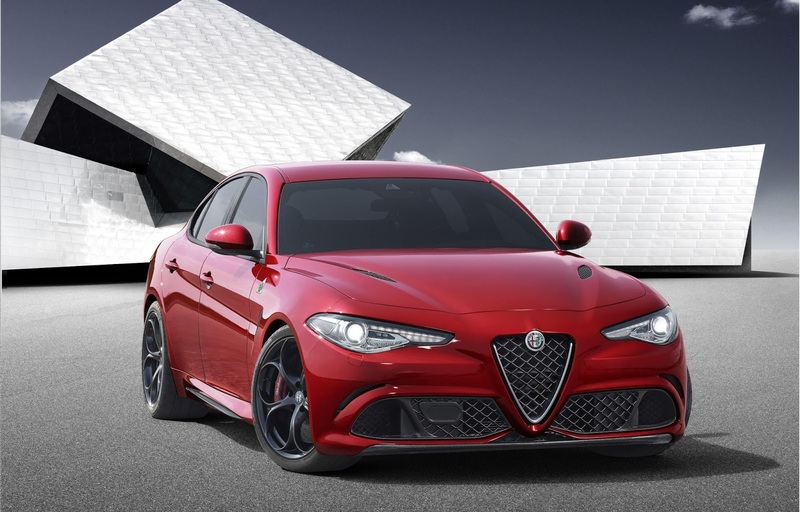 Producing a handy 162kw the little Coupe could dispatch 0-100km/h in 6.5 seconds before romping onto 240km/h. The turbo cars also benefited from a limited slip diff to make sure the power got from those front wheels to the road with minimal wheel spin. Combine all that with independent suspension on all four corners and the Coupe makes for a rather delightful drivers car. 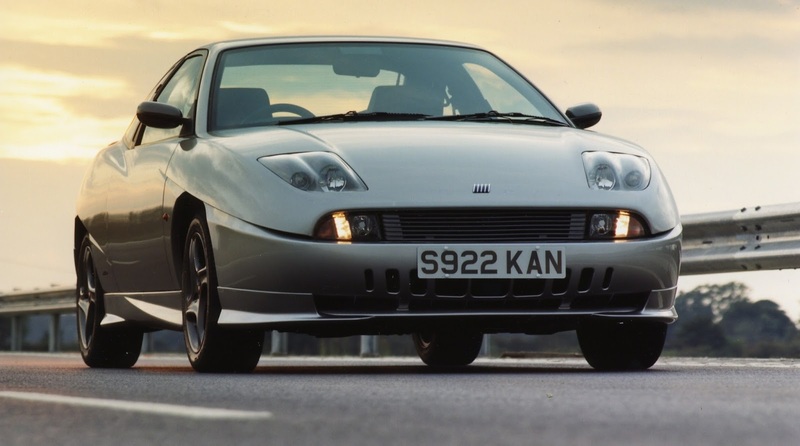 A rare, turbo charged coupe with looks that will divide opinion wherever you go, the Fiat makes quite a compelling case for itself. If your in the market for a 90's coupe how about spending a little more and getting yourself something truly unique, the Fiat Coupe. A little expensive compared to a Japanese coupe of similar vintage it might be but this weeks car still won't break the bank. Privately imported this cars most likely been cherished by its previous owner, with only 64,000kms on the clock it doesn't seem like it's had a hard life either. Most importantly thought it is a 5 cylinder 20v turbo model. Autonomous cars are coming and as much as petrol headed individuals like me dislike it there is little we can do. However at least some manufacturers are going about the transition in interesting ways, Land Rover being one such company, by doing it in a wonderfully James Bond fashion. 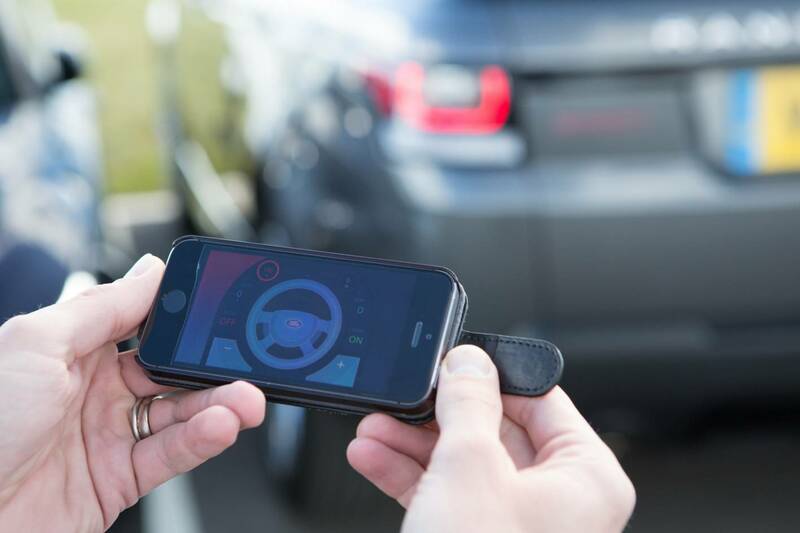 The video showcases some of the companies latest self driving technology, a Range Rover Sport you can drive via an app on you phone. 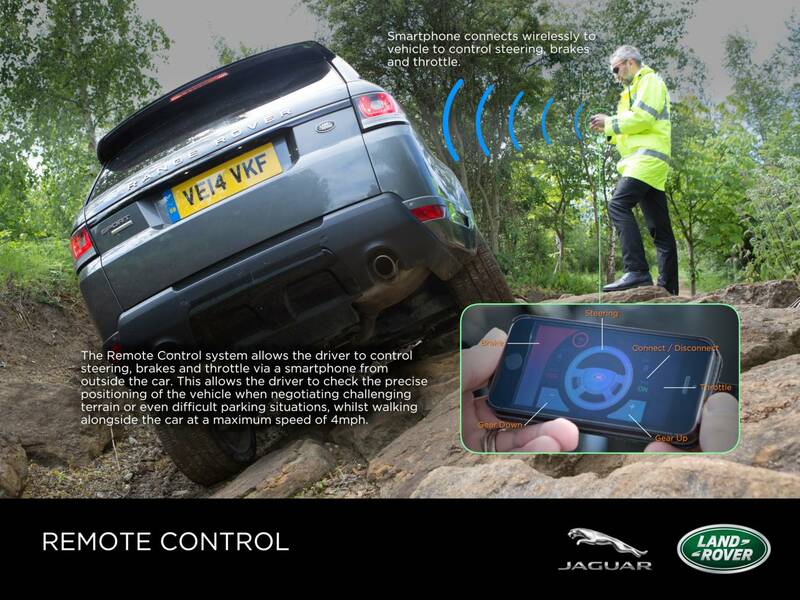 The idea behind the tech is that it allows the driver to negotiate difficult terrain easily, no hidden obstacles when you can walk round the car to check right? It also removes the driver from dangerous situations such as a rollover. To stop owners getting carried away though and start thinking they've got a giant R/C car the app limits the Range to just 4mph. Plenty fast enough for crawling over tough terrain but pretty much useless everywhere else. Apart from a car park of course, where if you find some thoughtless individual has blocked your door, simply reverse the car out, useful but also something that looks hopelessly cool. The best thing about the autonomous Range Rover for me though, is that it actually looks like a real car, not some horrible tofu box like the silly grinning Google car. It also still has a wheel and pedals for the times when you want to go faster than 4mph. The technology is merely in prototype form right now though, but with cars already able to parallel park themselves I doubt it will be long before we see Land Rovers self driving app in the appstore. 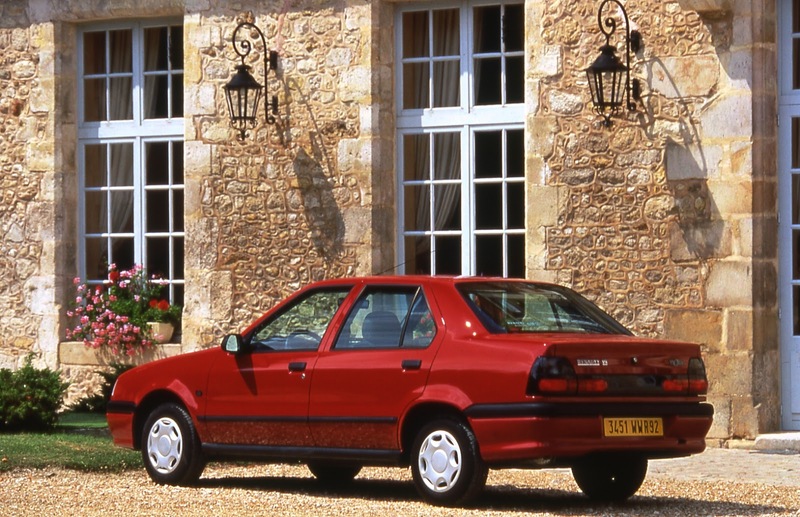 The last two weeks has seen the blog take a French turn, with a Renault 12 and super rare Citroen BX taking the crown as car of the week. So in a bid to diversify lets hop back over the border into Germany and delivery another iconic brand that I didn't think could be so affordable in Australia. 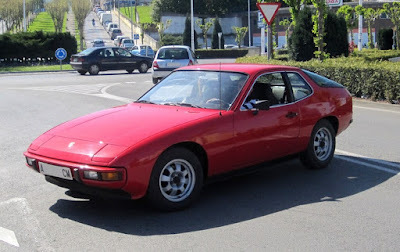 This week's car is the Porsche 924. 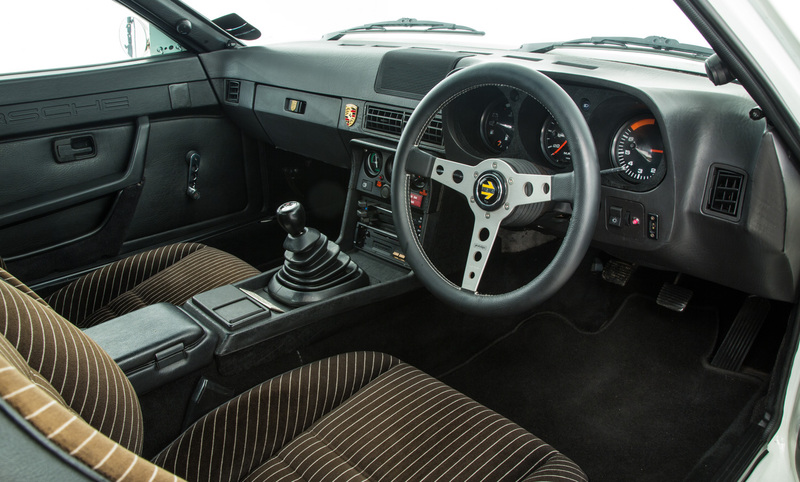 With a front mounted watercooled engine and rear wheel drive layout the 924 marked Porsche's first foray into making sports car with a more traditional setup. It was a trend which lasted almost 20 years with this cars successors the 944 and latterly 968 produced until 1995. Despite it being somewhat of a revolution for Porsche sports cars though, the 924 was never far from criticism. Developed in conjunction with Volkswagen the car was intended to wear a VW badge as well as Porsche one. However when the oil crisis hit in 1973 VW thought a sports car project probably wasn't what they should be focusing on and pulled out. Porsche bought the design of them and continued unabated but still, come it's launch the joint nature of the 924 led some to believe the car wasn't a thoroughbred Porsche. 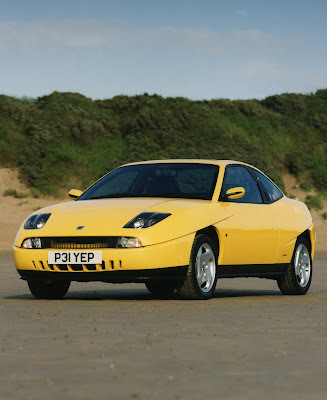 The 2 litre Audi derived engine didn't help the 924 initially either. With a very un sporty 93kw and a 0-100km/h time of 11 seconds the car was never going to break lap records. Under powered it might have been but it was at least reliable, something that can't be said of many other sports cars of the era, the engine was so dependable in fact that Volkswagen later put it in a van. 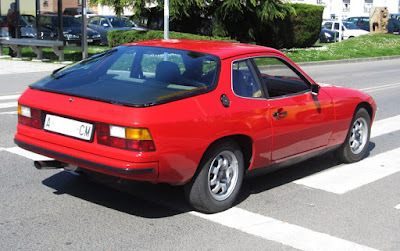 Porsche did rectify the speed deficit with a 130kw 924 turbo in 1978, however early cars were dogged by reliability issues that the non turbo car didn't have. A 2.5 litre 944 engine was transplanted into the 924S in 1986 for the final years of production with more success. Sales speak louder than some Porsche purists complaining though and the 924, despite it's VW connection and under powered engine was one of the companies most successful models with over 150,000 produced between 1976 and 1988. The reasoning, it drove like a Porsche damn well should. Simple mechanical's teamed with a slightly rear biased 48/52 weight distribution meant the handling balance of the 924 was spot on. Once up to speed the entry level 924 delivered the sort of driving experience that previously only the privileged could afford. Porsche had brought a luxury sports car to the masses and the masses approved. 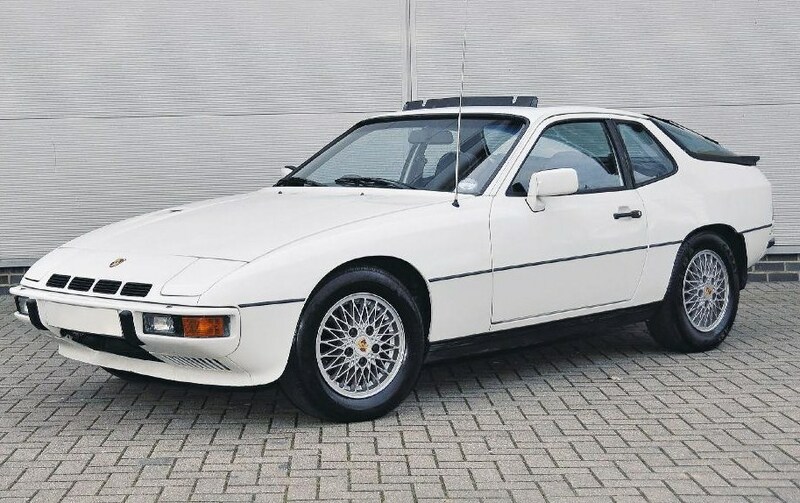 There aren't many cars from manufactures of bona fide supercars that you can pick up for such little money, but the wrongly and often overlooked 924 is one of those cars. It is a properly reliable classic and one that given the badge many previous owners will have cherished. From the few cars I've looked at the relatively low km's covered by them further confirms this. The 924 has clearly been the fun weekend car for many and it could be the one for you too. This weeks car has been laid up for a few months, but it looks remarkably neat with only 86,000km, the only noticeable flaw being a tear in the drivers seat. The seller says it starts and drives well and is only asking $300 more to get it rego'd which would imply that mechanically it's all good. Prices for 924's can't stay this low forever so now might be the best time to pick up a classic Porsche. This Sunday the 14th June sees Cars and Coffee Byron Bay back for its second meeting at The Farm. Last months inaugural meeting saw everything from a Targa Tasmania prepped RX3 coupe, wide body Renault Clio and a whole heap of Porsches turn up so signs are good that this months meet will be even better. With rumours of Ferraris, Fiats, hotrods and even my own Golf cabby going to be in attendance eveything and anyone is welcome. Its totally free and I think the event is going to go from strength to strength. Heck this month there are even prizes on offer for the the car deemed, car of the day! So go on, if you are in the locality and simply like cars or are hiding something special in your garage, dust it off, fire it up and come along to The Farm, Ewingsdale Road Byron on Sunday to show it off. If my Istagram account is anything to go by there are a lot of awesome machines out there. An Australian Renault 19, I must be feeling very French as this Giorgetto Giugiaro designed, often overlooked hatch is the second French oddity I've found for sale in as many weeks. Let me try to explain why this is a worthy car of the week. Firstly the design, regarded as bland at the time, now I think its brilliance lies in its simplicity. Giugiaro managed to a make square look good, a skill he first showcased with the exquisitely proportioned Mk1 Volkswagen Golf. 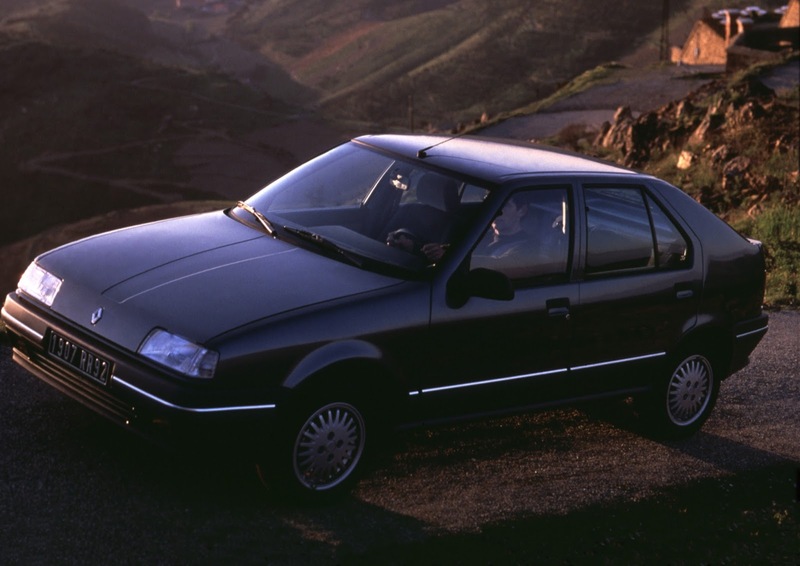 The 19 really was to Renault what the Golf was to Volkswagen and the 205 was to Peugeot, a practical car wrapped in an understated yet expensive Italian suit. 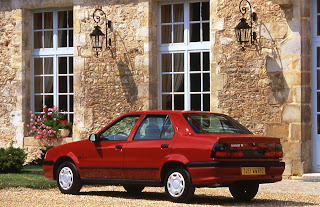 Moving inside the comfy ergonomic interior was praised at the time and now some 25 years later I bet the typically soft sprung nature of classic French cars combined with those seats will offer a ride second to none. Its back to basics interior might act as bit of a relief from today's over complicated cabins too. 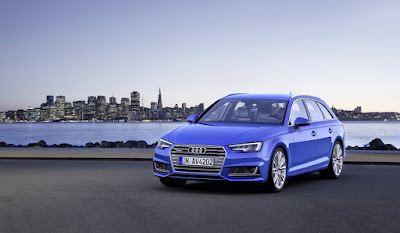 If we move to engines though things do get a little dull, however for reliably cruising around the 1.7 litre petrol engine offered down under should do just fine. 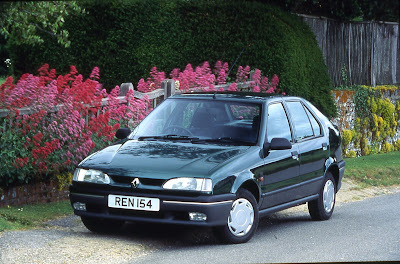 If it is a 19 themed hot hatch hankering you have though a 16 valve 16S was offered in Europe and with some luck you might find one that found its way to Australia. This weeks car car is just a bog standard 1.7, but it does appear to be an absolute minter. It's well maintained and ready for rego and insanely cheap, further proving my point that slightly left field Euro motoring need not be expensive Down Under. Go on, stop eyeing up those early 90's Corollas, that quite frankly are duller than a slice of tofu and take a look at this lovely little Renault 19.